CORVALLIS, Ore. – No. 12 Iowa State (10-2, 6-1 Big 12) went on the road and took out Oregon State (4-7, 0-1 Pac 12), 23-14 in a late night Monday showdown. The Cyclones won six out of the 10 bouts, including three by bonus-point variety with two major decision and a fall. At the intermission, the Cyclones held a 12-6 lead, having won three out of the first five bouts of the evening. Redshirt freshman No. 8 Austin Gomez took on Devan Turner of Oregon State at 133 pounds. Gomez tallied eight takedowns and led 19-6 before showing some of his freestyle prowess, throwing a cement mixer and pinning Turner in 6:14. Redshirt sophomore No. 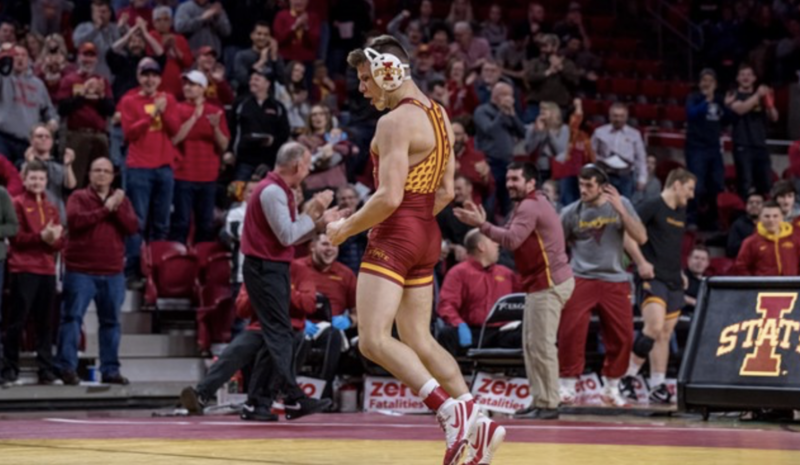 14 Jarrett Degen and redshirt junior Chase Straw brought the Cyclones into the break with a pair of decisions at 149 and 157 pounds, respectively. Degen used a four-point nearfall in the third period to outlast Josh Reyes by 11-7 decision, and Straw dominated in an 8-3 victory over Zech Bresser, compiling 3:29 of riding time. Coming out of the break, freshman Logan Schumacher made his return to the Cyclone lineup. Schumacher trailed 2-1 heading to the third period and then gave up a reversal to Aaron Olmos. Schumacher was able to get to his feet and finish on a takedown with under 10 seconds to go in the third. In the sudden-victory period, Schumacher connected on a single leg and took the match by 6-4 decision. At 184 and 197 pounds, redshirt sophomore No. 16 Sam Colbray and redshirt senior No. 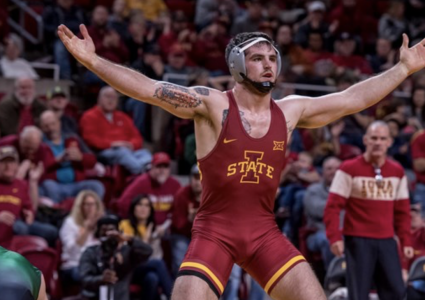 6 Willie Miklus salted away Iowa State’s 10th victory of the season with back-to-back major decisions. Colbray wrestled childhood friend Bob Coleman in front of a sea of friends and family in the Hermiston, Ore., native’s homecoming. Colbray notched six takedowns and an escape as he breezed to a 13-4 major decision. In Miklus’ match, it took a bit for him to feel out Jamarcus Grant, but once he did, it was all Miklus. After two periods, Miklus held a 4-0 advantage. In the third, Miklus turned Grant for four nearfall points on the edge of the mat and added a late takedown to secure the major decision. He also tacked on a point with 3:21 of riding time. 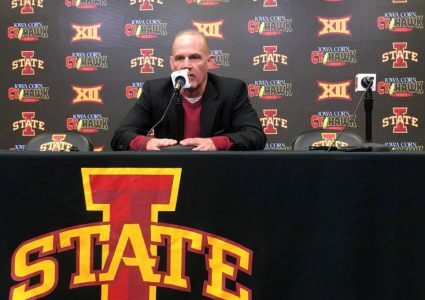 Some of the Iowa State wrestlers will be in action on Sunday, Feb. 17 at the Last Chance Open. The Cyclones will host that event at the Lied Recreation Center beginning at 9 a.m. on Sunday morning. 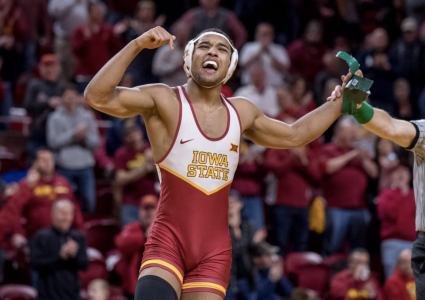 ISU’s next dual will come at Northern Iowa on Friday, Feb. 22nd at 7 p.m.
125: Ronnie Bresser (OSU) dec. Alex Mackall (ISU), 9-5. 133: Austin Gomez (ISU) pinned Devan Turner (OSU), 6:14. 141: Grant Willits (OSU) dec. Ian Parker (ISU), 9-4. 149: Jarrett Degen (ISU) dec. Josh Reyes (OSU), 11-7. 157: Chase Straw (ISU) dec. Zech Bresser (OSU), 8-3. 165: Logan Schumacher (ISU) dec. Aaron Olmos (OSU), 6-4 (SV-1). 174: Colt Doyle (OSU) dec. Marcus Coleman (ISU), 12-6. 184: Sam Colbray (ISU) maj. dec. Bob Coleman (OSU), 13-4. 197: Willie Miklus (ISU) maj. dec. Jamarcus Grant (OSU), 11-1. 285: Amar Dhesi (OSU) tech fall Ethan Andersen (ISU), 23-8.